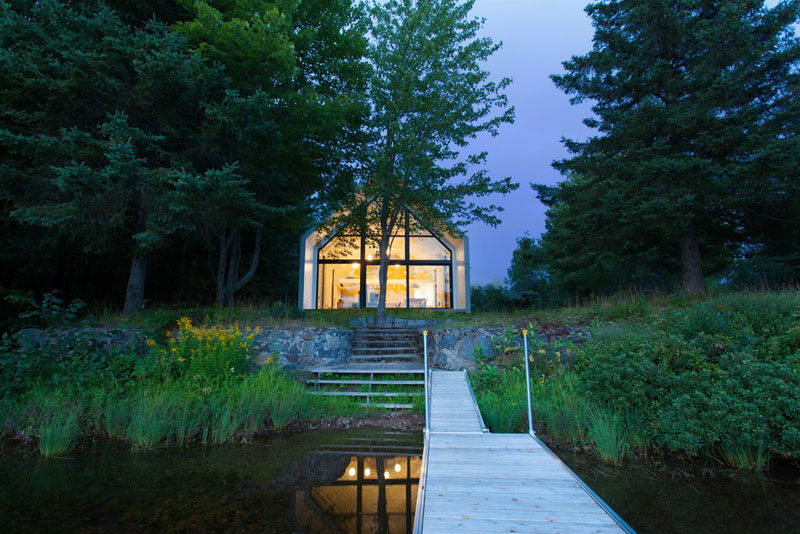 Architects Marie-Claude Hamelin and Loukas Yiacouvakis from YH2, have designed a new vacation house that sits on the shores of Lac Plaisant in Quebec, Canada. 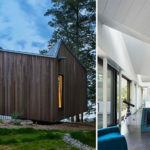 The houses features wood construction on both the exterior and interior, with a single large gable that covers all of the living spaces. Stepping inside, there’s a staircase that connects the various floors of the home. 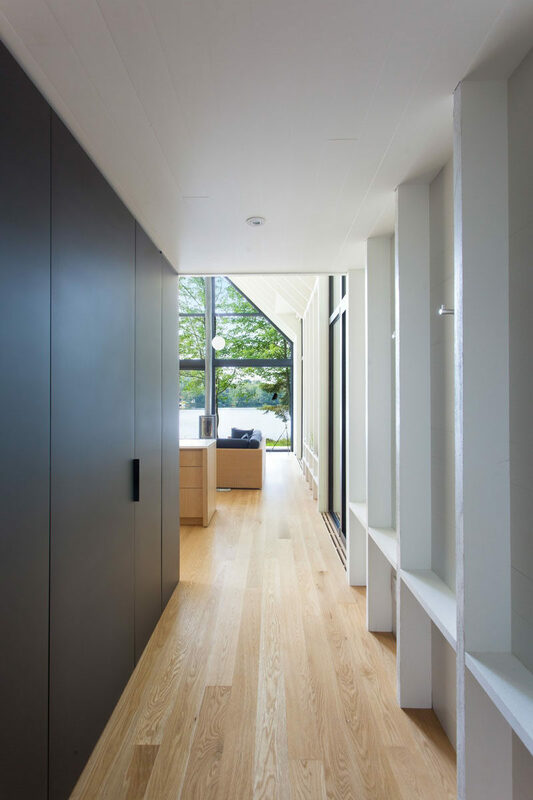 Next to the entryway is a hallway that leads to the main living areas. 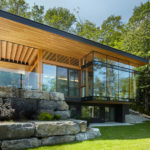 In the main living area, there’s a kitchen, living area and dining area, that features a wall of glass that looks out to the lake and a large double-height gable extending outward to cover a small porch. 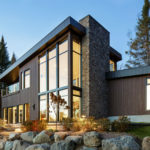 On the long sides of the house, there are three large, tall glass panels, allowing seamless transitions between interior and exterior spaces. 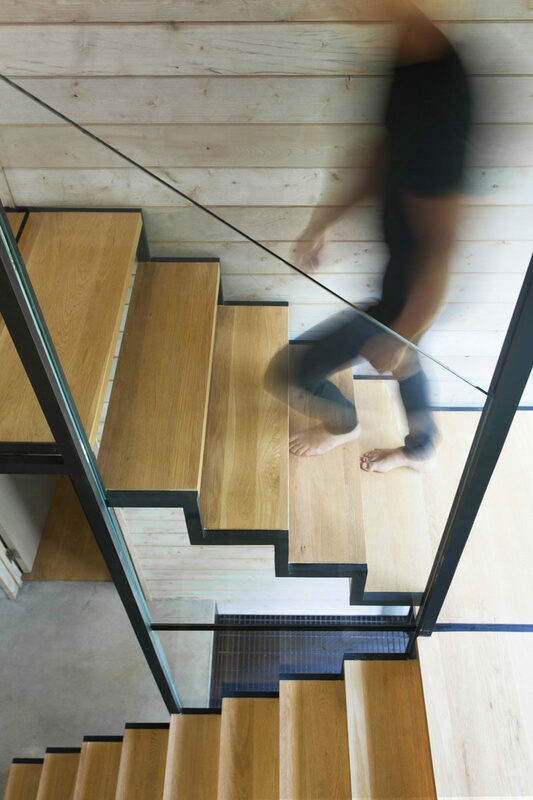 Here’s a closer look at the wood and steel stairs that lead up to the second floor of the home. 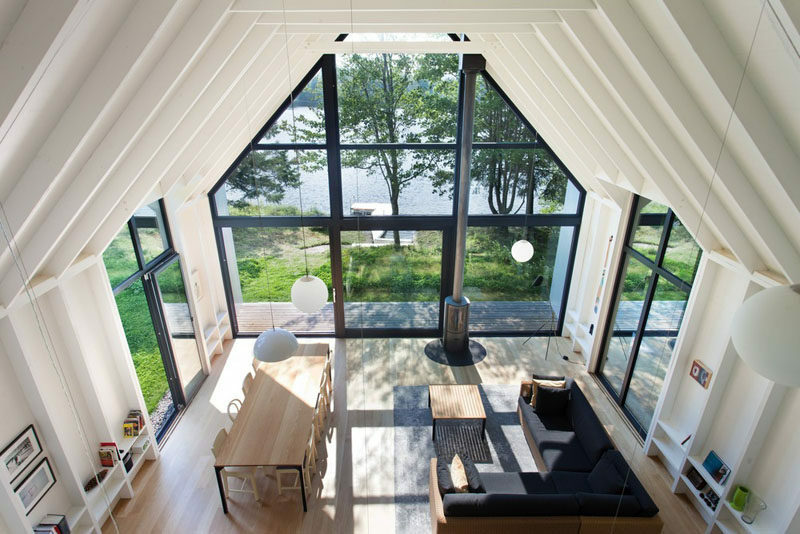 Here’s the view from the second floor of the home that overlooks the open plan living space. 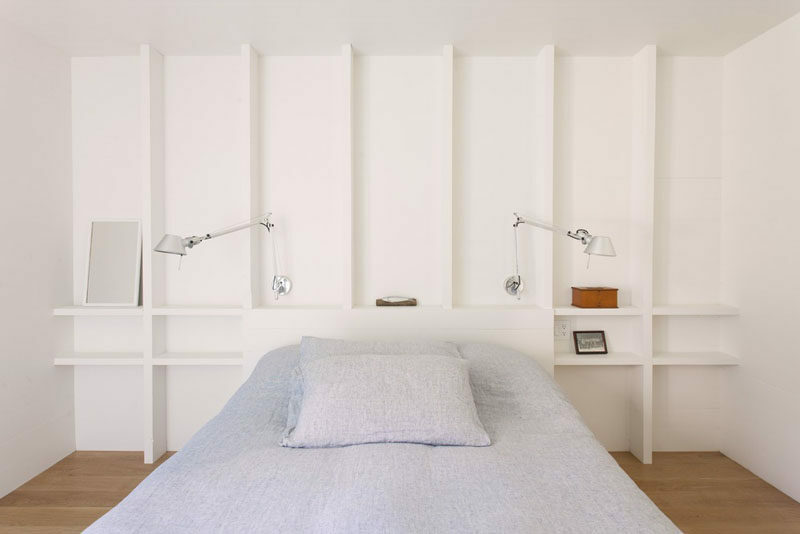 The home can sleep up to 12, and in this bedroom, exposed wooden studs have been painted white and act at shelving. 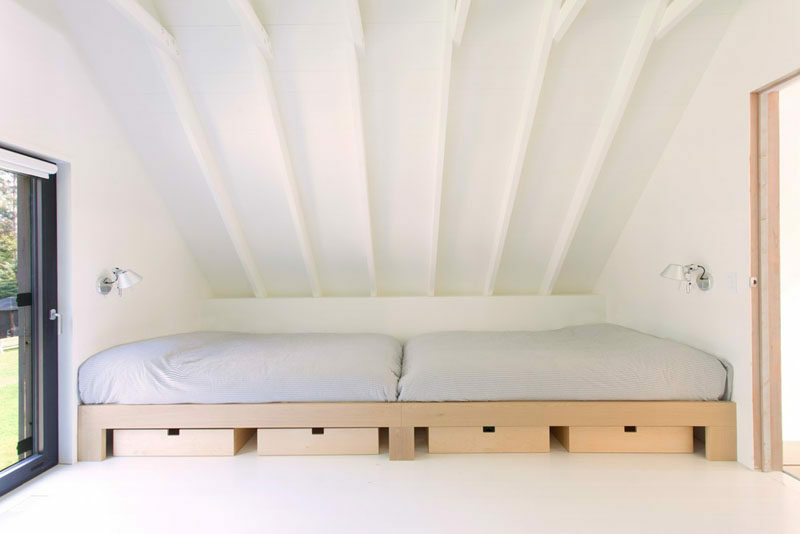 In another bedroom, two beds have been perfectly fit into a small space to maximize the number of people that can visit the vacation home.